Whimsical - Outsider Art Print. 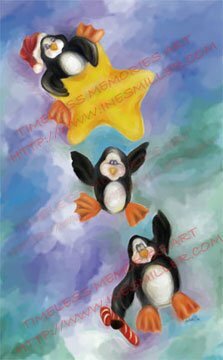 Art print from my original Digital Art Painting. I love this type of digital art media. The challenge on this piece was to create "brush strokes likeness " that no magic computer program filter can give you. The whole piece was painted with digital brush strokes ... one stroke at a time like any art painting with traditional media. This is a High quality Print , Image has been printed using Archival Ink for many years of enjoyment ; unframed print size is 8"X 11.5" printed on 71 lbs heavy weight high gloss Ultima Professional Quality Kodak Photo Paper. Picture print is so rich in color you can actually admire the brush strokes from the original painting.